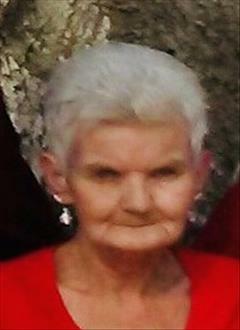 Mrs. Barbara Ann Neal, of Elberta, passed away Tuesday, March 19, 2019, at her residence. She was 69. Funeral services will be held 11:00 A.M. Thursday, March 21, 2019, at Keahey Funeral Home Chapel of Andalusia; with Rev. John Hunt officiating. The family will receive friends from 5:00 P.M. to 7:00 P.M. Wednesday, March 20, 2019, in the Keahey Funeral Home Chapel. Burial will follow in the Andalusia Memorial Cemetery with Keahey Funeral Home of Andalusia directing. Mrs. Neal is survived by her husband of 54 years, Milton B. Neal of Elberta; four children, James M. Neal of Destin, Phillip D. (Julie) Neal of Andalusia, Sheila Neal of Elberta, and James L. (Margaret) Reeves of Jacksonville, FL. ; six grandchildren; five great-grandchildren. She is preceded in death by her parents, James and­­­­­ Ella Irene (Reeves) Revis. Every Thursday, Mrs. Neal enjoyed going to the beauty shop to get her hair styled. She also loved flowers. She will be missed dearly by her family. We invite you to share your memories and words of comfort with his loved ones there.